The final four years of a radiologist's residency will focus on radiology in particular. 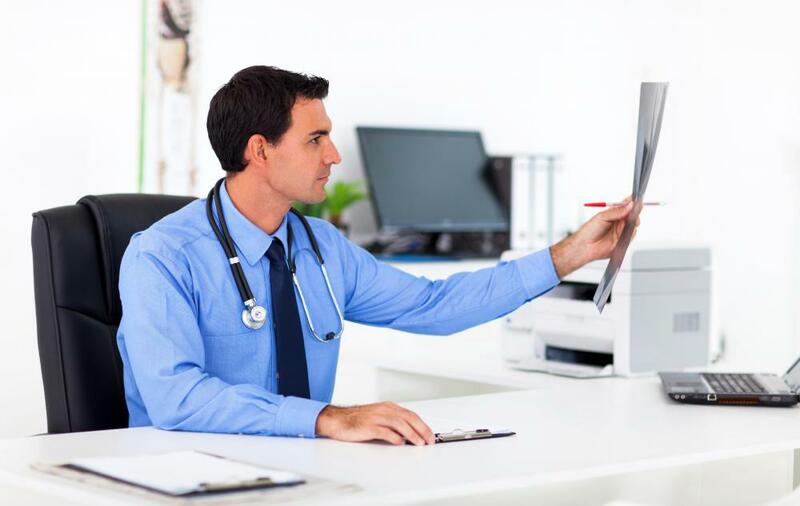 A radiologist may work in an office setting. 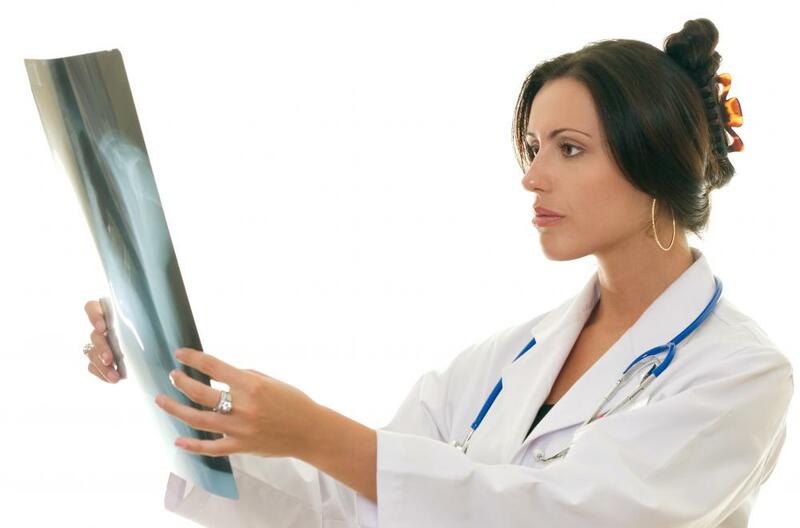 To become a radiologist, it is necessary to get good grades in college and medical school. 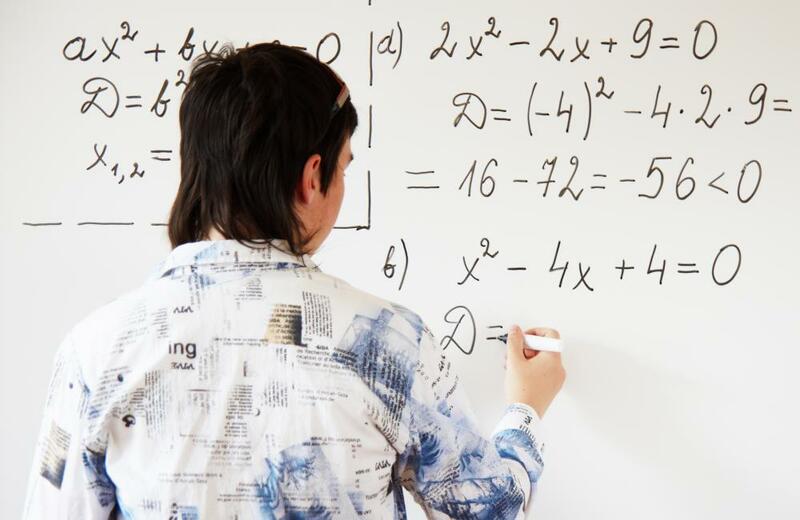 An aspiring radiologist will need to take advanced math classes. An aspiring radiologist will need to pass the MCATs and attend medical school. A radiologist is a type of doctor, which means there are many years of training ahead for a person who wants to become one. This training should start with high school. A person who wants to become a radiologist will gain a good foundation for achieving his goal if he takes advanced science and math classes. It is possible to get into this career without these high school classes, but it may be easier to understand advanced coursework with this knowledge. The next step in becoming a radiologist is college. Like in high school, it's a good idea to take advanced science courses in preparation for a career in radiology. For example, advanced-level courses in subjects like biology, chemistry, physics, and anatomy are recommended. A person can go on to become a radiologist even if he doesn't major in science, but majoring in science does provide good preparation for the next step in pursing a career in radiology. While it isn't necessary to major in science to become a radiologist, it is necessary to get good grades. After earning a bachelor's degree, a person interested in radiology will have to apply to medical school. Grades count when competing with other medical-school hopefuls. It's also a good idea to take classes related to writing and communicating, two skills necessary for pursing this career. You'll then need to attend medical school for four years. At this point, you may have completed eight years of schooling, but your training won't be over. You'll then need to spend five years on post-graduate training, which is also referred to as residency. The first year of residency training will cover general medicine. After that, the remaining four years will focus on radiology in particular. There are exams you'll need to take and pass in order to become a radiologist. 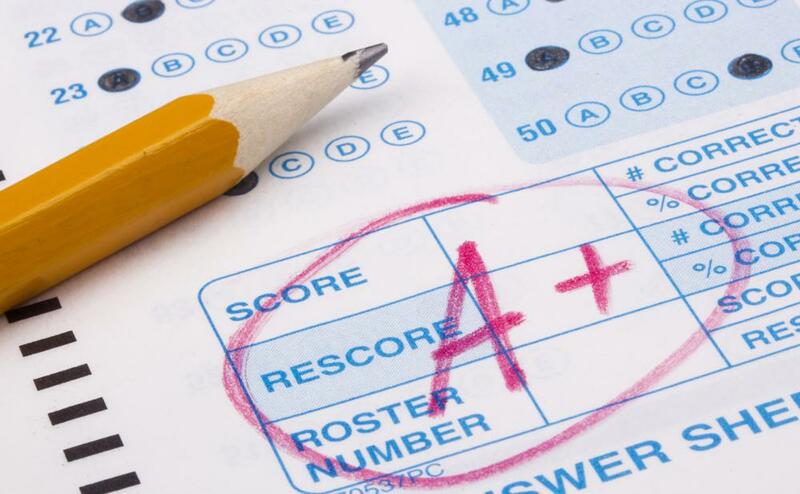 These exams are necessary in order to be certified by the American Board of Radiology. One of the exams focuses on medical-imaging physics and is commonly taken in the second or third year of residency. Another exam focuses on knowledge of diagnostic imaging and is typically completed in the third or fourth year. You'll also need to pass an oral examination. This is usually given in the fourth year after the written exams have been taken and passed. How Do I Choose between Being a Radiologist, X-Ray Technician and X-Ray Technologist? How do I Become a Bacteriologist? How do I Become a Pediatric Radiologist? How do I Become an Interventional Radiologist? How do I Become a Radiology Nurse? What are the Different Types of Radiology Equipment? This was a great article that helped me support my facts for my essay about schooling for this job. Great article! In order to get a career in this, in high school can I just take IB Biology 1. So far I've taken physics, regular biology and am currently taking chemistry. I really enjoyed reading this article because I am interested in this career, but do not know much about it. The main thing that scares me is the 'oral exam' because I am definitely not much of a speaker. And I am wondering when I only have the choice to take one of these classes in high school, in the path of becoming a radiologist, would it be better to take advanced chemistry, anatomy, or physics. I do not have time in my schedule to take all three, though I would actually like to, so which would be best to choose? A DO is a doctor who received the same education as an MD + preventive education. So if you have the grades, a DO can be accepted. Is it possible to match in radiology as a DO?